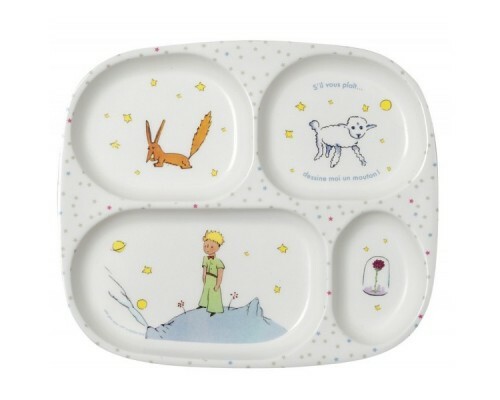 A Little Prince four compartments plate for baby's meal. Made from melamine. Dishwasher safe. Size: 24 x 21 cm.